We all want to hear it, and we all want it to be unforgettable. So what is it that makes our dream proposal special? Something that is personal to the two of you. Having your family around or an extravagant ordeal? It's still all about you as a couple! So, ladies, proposing isn't as easy as we all think it should be. Sometimes our guys need our help (or the help of us event planner pros! ), so how can we hint to them without planning the whole thing ourselves? We came up with 5 romantic and crazy proposal ideas to get those wheels turning! It's important to do something that relates to your relationship and things that you love or do together. What's bigger than the Jumbo-Tron at your favorite sporting event? Getting down on one knee on the 50 yard line while the entire stadium watches you confess your love for your lady! People love love! It may take some convincing, but a lot of people are willing to help make this possible. 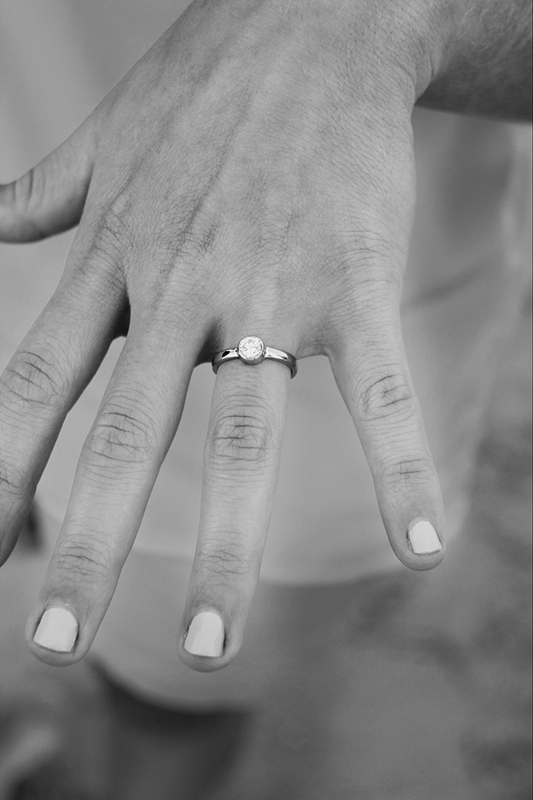 It may take some research, but you can set up a secret proposal where you set up your fiancé! Did she enter a contest to play a silly game at half-time? No, but they got her name from somewhere... When the coordinators take her out onto the field, you can be on the sidelines. When she misses that "Football toss into the hole of a wooden cut-out" game and turns around to see you on one knee behind her, she will forget all about the game and be so excited to find out she was part of a major scheme. Now this one isn't exactly local, but we actually have a friend who plans on proposing to his girlfriend this April at a Red Sox game! The funny thing is, she's not a baseball fan in the least. He's a huge fan, and she wants a public proposal! Well what's more public than a Jumbo-Tron at a Red Sox game? And it's a lot easier than you'd think to arrange such a surprise! All he did was call up Fenway Park using the number given on their website. He made a small donation to the Red Sox Foundation, and the park arranged everything for him! As far as his bride-to-be knows, they're sitting in a special box to prepare for a "tour of the park." In reality, the big screen will zoom in on them at some point during the game, and they'll be engaged by the end of the night! 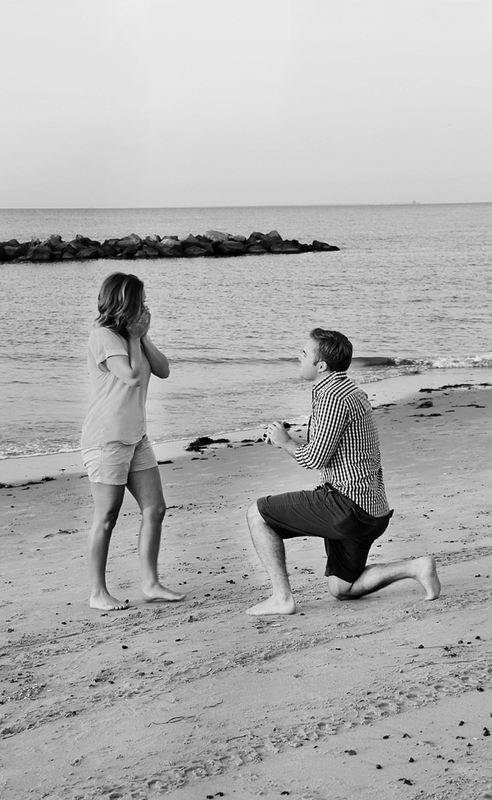 You don’t have to go all the way to Boston to propose during a sports game when we have teams like the Tides, the Admirals, and ODU's football and basketball teams! Hide the ring or a sweet little note in a fortune cookie! Go to your favorite sushi restaurant and tell the manager your plan to propose. They can help you either get the ring inside of this sweet little treat or slip a fake fortune in there. Try this one: "Big things are in your near future" or "Your future is about to change." With this, you can begin telling her why... aka proposing! If you put a ring in there, make sure that the manager hand delivers this to her plate without letting her catch on. Your favorite restaurant can't whip up a batch of cookies for your proposal? No worries! Browse Pinterest for a winning recipe, and bake up a batch yourself! All you need is a little flour, sugar, a pinch of salt, and egg whites. You get extra points if you invite your lady to help you with the baking and slip in your personalized fortune without her realizing. She'll be even more surprised that she missed your little feat and is sure to say yes. And if baking isn't your thing? Search for the ‘fancy fortune cookie’ deal on Groupon (who doesn't love Groupon?) and order a few with different sayings to give her throughout the weeks. Do you know someone with a private plane? (Duh, we all do, right?) If not, take a helicopter tour while on vacation! Take a day trip to a local town and check out the scene from the sky. You can set up a banner to fly with you on your trip so that when you get back to the ground, she can see that you already told the whole world! If you decide to keep the proposal local, give Ad Airlines a call! They do all the aerial advertising in the Hampton Roads area and will give you a quote over the phone. Whether laying out at the oceanfront or riding the Griffon at Busch Gardens, your love definitely won't forget having her name written in the clouds! And if you do decide to splurge for that helicopter ride, there are a number of local charter companies you can call to book flights over your favorite spots such as Decker Aviation or Virginia Beach Helicopter Charters. Adventurous? Plan a scavenger hunt! Call your friends and family and get together for "game night." Make a list of local places that the two of you frequent and a clue leading the groups to each location. Hide a tiny token or sheet of paper such as a series of "Will" "You" "Marry" "Me" at each location which would be up for grabs by any of the teams. The winning sheet will already be with you and that will be her name. Surprise! Or save the last clue just for her and lead her straight to you- and the ring. We personally love scavenger hunt proposals, and there are so many different ways to do them! High school sweethearts? Have one of the clues leads to your alma mater's football game (Go Hawks!). Dog lovers? Head to Redwing Park for a romp with the pups! Just make sure she has her camera ready to capture every moment along the way! The sweetest suggestion that I heard while trying to create fabulous proposal ideas came from a friend of a friend. Her fiancé proposed on HIS birthday! He planned a typical night with friends and family at their house and while everyone was there celebrating his birthday, he dropped down on one knee in front of everyone and said, "All I want for my birthday and all my future birthdays is you. Will you marry me?" How incredible is that?!? This is also a great way to save money on an engagement party down the road! Purchase a few Congratulations! balloons from the closest Party City and have a family member sneak them from another room after she says yes! Just remember guys and gals, everyone will not only want to see that shiny new rock on her finger but everyone will want to know how you did it. Get to know Jamie Leigh Events more on Facebook, Pinterest, and Instagram! Photos by Kait Marie Photography.